This past weekend I got a chance to spend a bit of time in the kitchen creating fun things. Potstickers -- frozen, granted. But they turn out very nice if you defrost them in the microwave then toss them into a pan with a shallow slick of hot oil. Mix in a bit of chili oil and roll them around while they're frying. Then, just at the end, splash some soy sauce in. Personally, I love the flavor you get when soy sauce cooks quick in oil. Hoisin chicken and vegetables -- chicken thighs marinated in a little soy sauce and lemon juice. Stir fried with onions then the heat is reduced and the other veggies (simple items like carrots) are added and sauce. Let it simmer for a minute and it's good to go. Szechuan beef and broccoli -- Beef, onions, bird chilies, garlic, broccoli, and peanuts. A dash of oyster sauce and soy sauce. Spicy but not one-dimensional. I basically followed Alton Brown's blackberry cobbler recipe. Though I threw in a pinch of baking spice and brown sugar in the dough. The strawberries were stewed with a fig-infused balsamic vinegar, a little vanilla, and a pinch of mint. Ooh, a nice little selection! I've become quite a fan of oyster sauce - it's remarkably useful stuff, whether as a minor addition to quite a different sauce, or in conjunction with something to take it in a new direction, like black bean. I don't tend to use fresh peppers that often, simply for the convenience of spice mixes - a Berbere mix I keep on the shelf works beautifully at providing that characteristic zing. Also, I've been finding Chinese preserved vegetable combos in jars can work wonders, adding a good deal of complexity to the overall flavor, just with a teaspoon or two of, say, preserved mustard (as in the plant, not the seeds). Nothing wrong with frozen potstickers! Whilst it might be fun to make them from scratch too, get some decent frozen ones, and they're entirely satisfying, particularly when properly cooked, for that authentic finish. 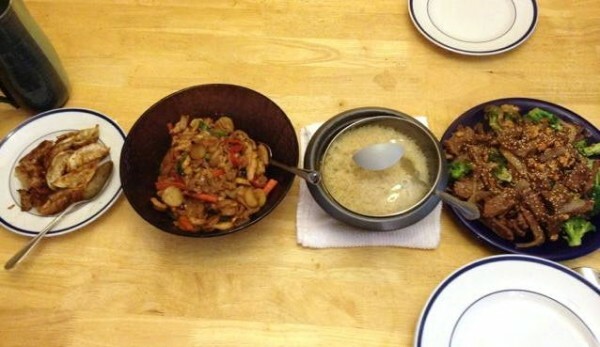 I do like to use a dash of oyster or black bean sauce in most of the Chinese food I cook. I like the earthy note and umami it adds. I'll have to try that, never thought about using strawberries for it. 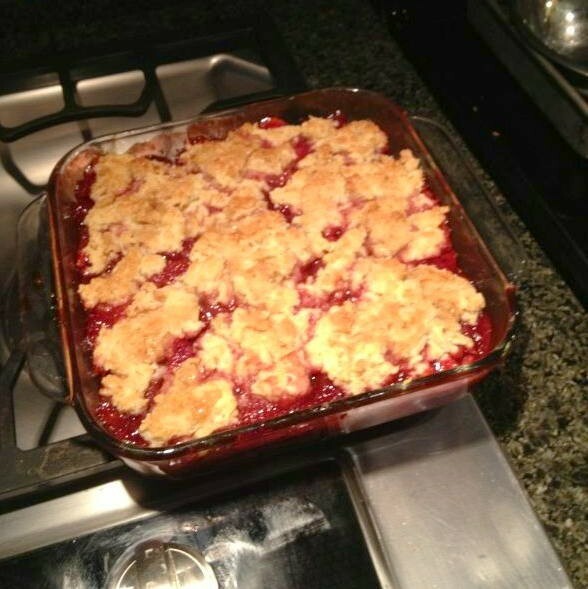 OMG Alton Brown's cobbler. YES! Good eats for the win! Yes, was a great show. Since we got rid of cable a while ago, I havent seen a new episode in ages. Food Network is terrible about releasing their shows, unfortunately.